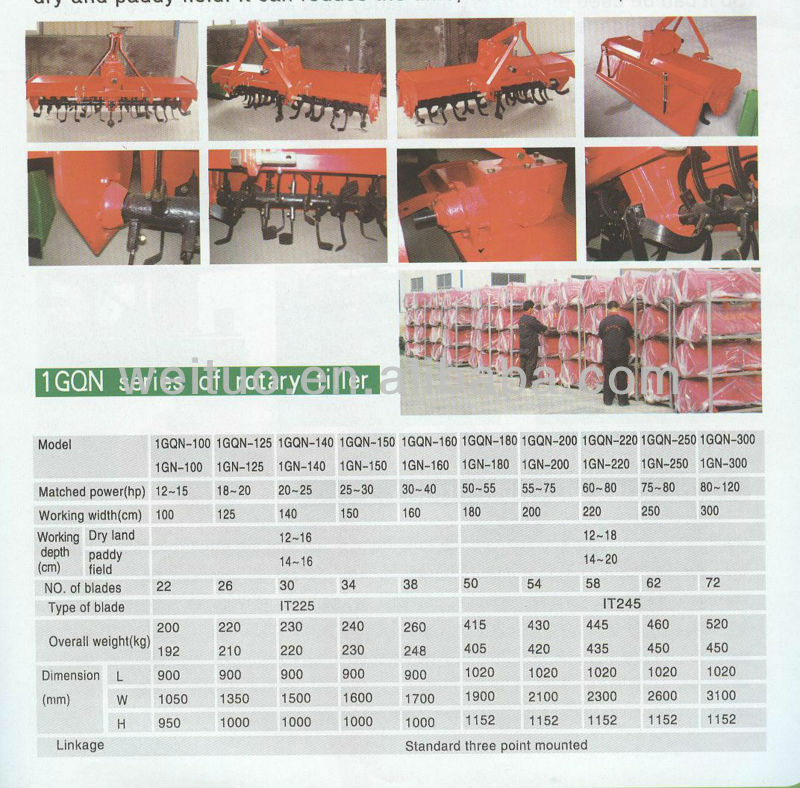 This series product can work in dry land and paddy land for cutting stubble at first plough, weeding at cultivation, leveling up at deep plough, getting up slurry in paddy land, leveling up surface of farmland, building road, and mixing soil and so on. It adopts large modulus gears to ensure reliable transmission and use term; the special double bearing structure is lighter and less power consumption; coulter shaft and support are in good quality and the structure is firm and reliable. 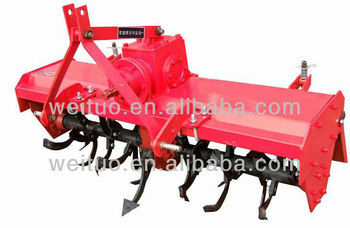 The central case transmission makes a reliable depth of till.